If you're ready to take your game to the next level, boost speed,agility, and strength, then you are ready for the Soozier Speed and Agility Training Kit. 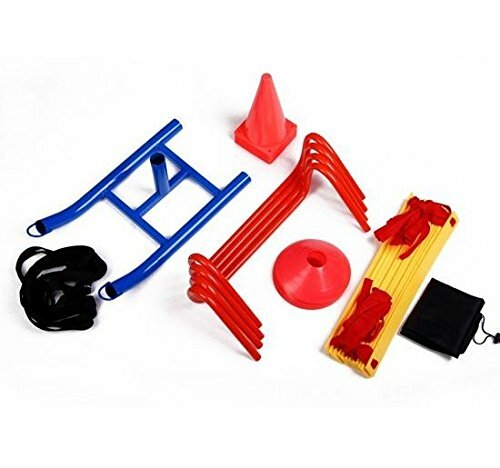 This kit comes complete with an agility ladder, weight sled, field markers, cones, and speed hurdles. Use it for personal workouts or to run a training circuit for your entire team. The Soozier Speed and Agility kit is your solution to running faster, cutting harder, and just flat out playing better.